If you're in need of a hair stylist, RitaMarie Stylist is your best choice. She is proud to provide hair highlights, haircuts, and blowouts to her valued clients in the Westchester, New York, area. Your hair is one of the most important parts of your overall look, so it makes sense to take care of it. RitaMarie is a stylist you can trust. Get in touch with her today; she cannot wait to serve you. When it comes to beautiful hair, seeing is believing. 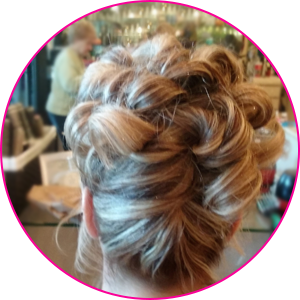 RitaMarie's gallery page has examples of her talent and experience as a hair stylist. View some examples of her work in our gallery. 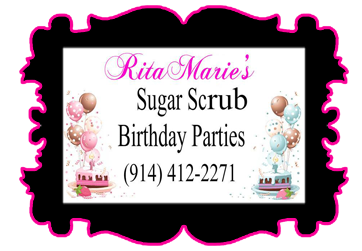 Do you know a little girl 5 -11 who has a birthday coming up? Sit back and enjoy as your little one and her friends make there own body wash scrub. (LOOKS LIKE ICE CREAM ,PLEASE DONT EAT). They have a choice of 2 styles , 2 washable hair colors and 2 nail polishes . We provide the pizza and bottle water. RitaMarie started out working in a hair salon with her godmother. Her love for creating great hairstyles and making others feel good about themselves led her to build a career as a hair stylist. Now, she uses more than 20 years of experience to work for you every day. RitaMarie prides herself on her work; she views her clients as canvases and walking models to display her art. She offers affordable prices and always has great specials available. One of her proudest moments as a stylist came when she was working at a fashion show that raised money for children with cancer. She and her team also contributed to Cut for a Cure, an event sponsored by her boss, Barbara. 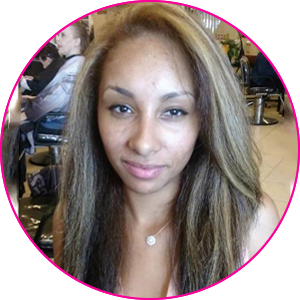 RitaMarie loves making people feel great about themselves, and she looks forward to giving you the hair of your dreams. My clients are my Canvas! They are my walking models. They are so important. Everyone is an art piece and I treat them like that.